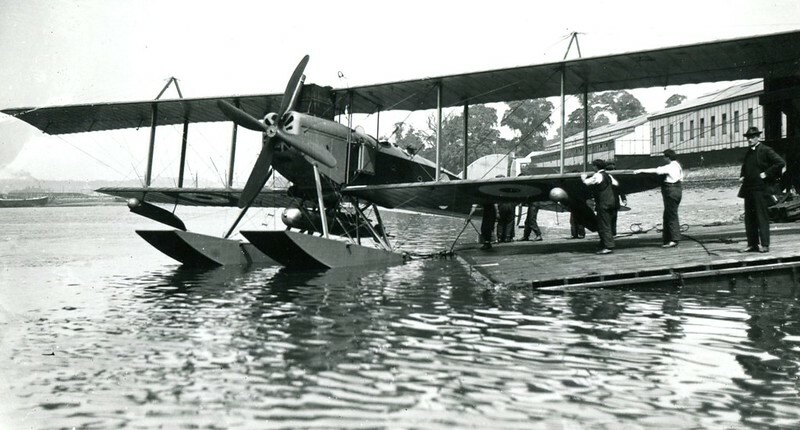 I need help to clarify the identification of a floatplane, in the attached photo, which was produced by Shorts. The caption of Short '320' is used in J. M. Bruce's book British Aeroplanes 1914-1918 (Funk & Wagnalls, 1957). He notes that in this instance that '320' is the power rating of the Sunbeam Cossack engine installed rather than a manufacturer's type number. He has an entry for the 'Short 310 hp Seaplane, Type B' and notes that it was 'A contemporary.. of the torpedo-carrying seaplane that became known as the Short 320'. The caption of Short '310-A' is used in C.H. Barnes' book Shorts Aircraft since 1900 (Putnam, 1967 [rev 1989]) with no mention (that I can see) of a model '320'. Owen Thetford lists a type designation of 'Short 320 Seaplane', in British Naval Aircraft 1912-58 (Putnam, 1958), and also notes that the '320' is the power rating of the engine installed rather than a type number. The caption for the accompanying illustration confusingly uses the terminology 'Short Type 320' (?). He notes that the 'original version [of the Short 320] had a 310 hp Cossack engine but does not mention a specific model designated '310'. I can't get the image to load ! I am becoming a fully fledged member of geriatrics anonymous ! If you have some information, but need to see the image, drop me an email address and I will send it to you. Here's the picture Ray was trying to post. A wee experiment, using the image uploader that is available in the reply box. Well, there's yer problem, Ray. The damned thing doesn't work. You need to use an image hosting site. there are quite a few out there. I use Flickr and have tried Village.Photo.There's also Imgur, Fotki, etc. Just find one that works for you. Bruce wrote an article in Flight on Short's seaplanes starting in the issue of 14th December 1956 and ending with 4th Jan 1957 (4 issues). It may give a bit more information on how the 310/320 designation was selected than in his book. give more power and was nominally of 320 h.p. to the aircraft as the Short 310.
engine cowling was much bulkier than that of the 184. The equal-span 310 h.p. Short was known as the Short 310 h.p. Thank you very much for sorting out the somewhat confusing situation. It doesn't take much to get me befuddled when I read conflicting information in (assumed) reliable sources. I am scanning my collection of photo prints and want to have the correct ID for the relevant images. If you know anybody who could be interested in acquiring ~ 3000 B&W prints I would welcome any pointers. Bruce was pretty reliable with his research into WW1 and earlier aircraft, at least as far as I can tell. Now, reasonable quality prints of interesting aircraft seem to go for good money on ebay, £5 each is typical, and unusual shots, if they are period originals, can go for far more. Recent sales of Schneider Trophy-related aircraft have climbed up close to £100 on occasion, You could be sitting on a nice pension bonus Give us a clue what you have, you could well find some buyers here. Argentina, Australia, Austria, Belgium, Brazil, Canada, Czechoslavia, Finland, France, Germany, India, Netherlands, Poland, Spain, Sweden, Switzerland, UK, USA, USSR, Yugoslavia. A small sample can be seen on 1000aircraftphotos as the 'Ray Watkins Collection'. If anyone wants to see the detail of what I've got, or has particular aircraft for which they are seeking illustrations, please contact me at the following email address: watkinsr@tpg.com.au, and I can respond accordingly.